Ryan: Augh I didn't mean to set off an invisible alarm! 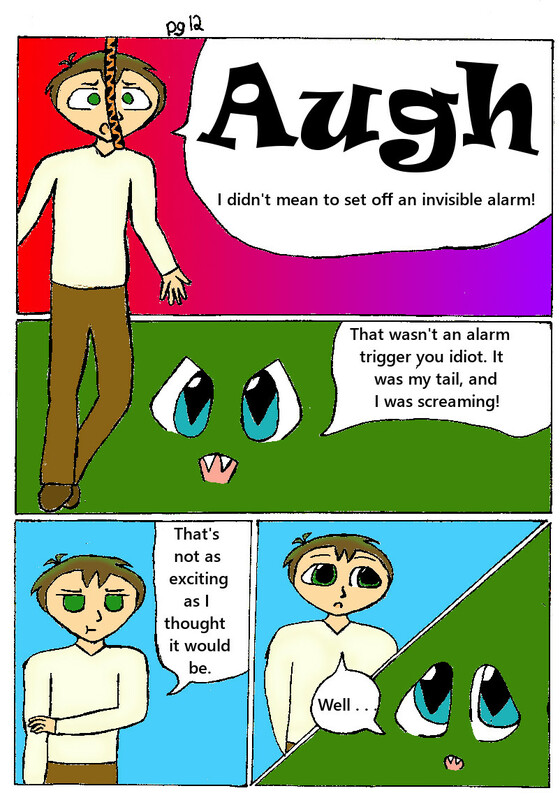 Mysterious tiger thing: That wasn't an alarm trigger you idiot. It was my tail and I was screaming! Ryan: That's not as exciting as I thought it would be. Ryan and Mysterious fox thing: Well . . .